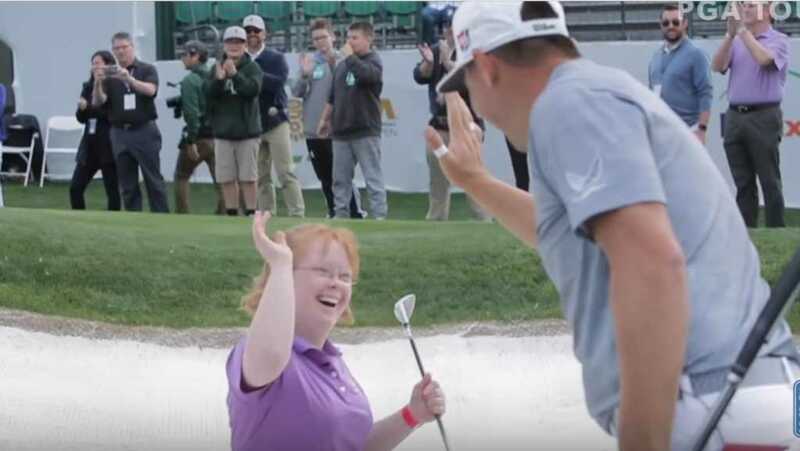 When Amy Bockerstette was approached by tour pro Gary Woodland for a quick game, she was delighted, if not quietly confident. As it turned out, Amy, who is part of Special Olympics Arizona, has got some serious talent — and a whole lot of charm to go with it! What happened next was extraordinary — a stunning splash bunker shot, the ball soaring onto the fringe before rolling up to within eight feet of the hole. The video certainly proves dad is spot on with his assessment. Congrats on an amazing moment — the world could use plenty more of this!